Penzias and Wilson discovered an unknown microwave signal that turned out to be evidence for the origin of the universe. The story involves inconvenient pigeon droppings and more than a little serendipity. It ends with a Nobel Prize for physics and fame. In part 4 of the series we saw how the cosmic microwave background radiation (CMBR) provides the earliest visible image of structure in the universe. This time we're going to follow the curious story of its accidental detection by Penzias and Wilson. The Holmdel microwave antenna in the image is at Bell Labs in New Jersey and was built in 1959 for early radio experiments with the Echo satellites (reflective balloons in earth orbit). 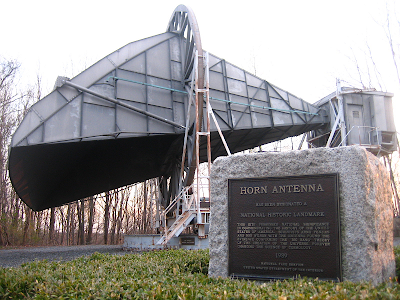 The horn antenna was being used by Arno Penzias and Bob Wilson in 1964. They were building sensitive, low noise, microwave radio receivers for use with the Echo satellites and had a serious problem with unexplained radio noise. They ruled out several possible causes, including a build-up of pigeon droppings in the horn, but nothing they could think of seemed to reduce the frustrating noise. Eventually they concluded it was not noise, but a genuine signal from an unknown source. The noise explained - Another physicist, Robert Dicke had been searching for a signal just like the one that had caused Arno and Penzias so much trouble. Dicke had failed in his search but he heard about Penzias and Wilson's results and recognised it as relic light from the early universe, the elusive CMBR! The Penzias and Wilson paper and another by Dicke and three others were published together in July 1965. There's a lot more about this story in the book 'Genesis of the Big Bang' by Ralph A Alpher and Robert Herman who remembered the events well. This is an interesting example of the way science progresses. Dicke, like George Gamow before him, had predicted the CMBR based on cosmological theory. Now that it had been found, the credibility of the theory was greatly strengthened. Dicke was soon able to observe the CMBR himself, and later the COBE satellite would observe it in much greater detail, finding small irregularities in temperature. These too had been theoretically predicted. When experimental results bear out theoretical predictions like this, scientists can be confident the theory is on track and more likely to be reliable. WMAP, Planck and other instruments have refined the detail still further and strongly support the current Standard Model of Cosmology known as the Lambda-CDM Model..
Penzias and Wilson were awarded the Nobel Prize for physics in 1978 for their discovery. Which interests you the most, the science itself or personal stories like this one? Can you imagine the amount of dedicated effort involved in doing science? Do you sense the determined search for truth in the hearts of dedicated scientists? For some decades there have been constant disputes between climate scientists and those who deny that humanity is causing global temperatures to increase. This article presents a video made by Skeptical Science to show that one of the more recent claims by the deniers is wrong. 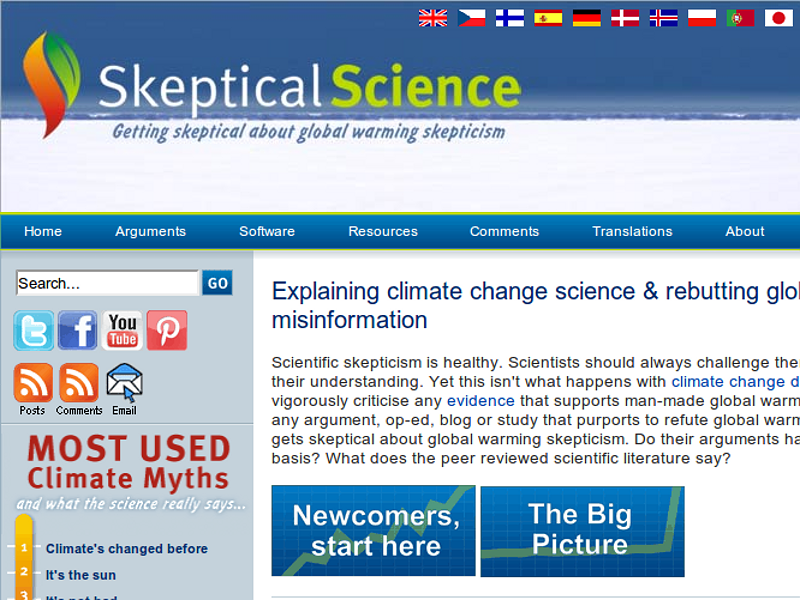 Skeptical Science is dedicated to debunking arguments that deny burning fossil fuels causes climate change. One of these arguments is that there has been no detectable warming during the last sixteen years and Skeptical Science made a video (below) to show why this is false. It's well worth watching whatever your views on the science. More detail about the 16-year claim is available on the Skeptical Science website. No room for doubt - The temperature trends are very clear and the rate of fossil fuel burning is still rising year on year. Some countries are reducing their output already, but most are not. It's already far too late to prevent serious effects, but these will become even worse if we just carry on as we are. Global warming sceptics have repeatedly clutched at every straw they can. Again and again they have attempted to find fault with the measurements, the reasoning or the conclusions and every time the scientists have show that the sceptics are the ones with the faulty reasoning. The 16-years argument is one of the most recent of these insubstantial straws. 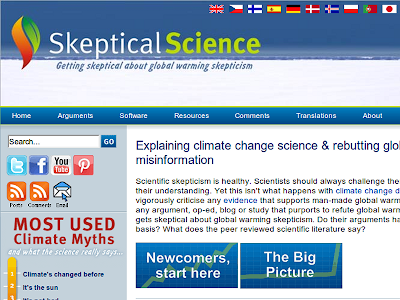 Take a look at Skeptical Science's website for more information on all aspects of the data and discussions. It's also worth referring to the Wikipedia article on the continuing controversy. The great majority of climate scientists agree that global warming is happening and is caused by human activity. Who will best understand global warming data, professional climate scientists or the media? Climate warming may be severe, is it wiser to make cuts or just carry on as usual? Are there simple things you could do to reduce your own, personal energy use? The universe grows larger, cooler and more complex at astonishing speed until it's a few minutes old. Further change is much slower and less dramatic. Fundamental forces and particles are generated, hydrogen and helium are formed and light is released. The first few minutes of the universe's existence see a huge increase in volume and a dramatic reduction in temperature. Gravity, light, and atomic forces separate from one another. And finally matter comes into existence in the form of hydrogen and helium nuclei and electrons. More fundamentally we could say that the universe evolves from a simple, evenly distributed beginning and generates greater and greater complexities confined to smaller and smaller volumes as it expands. We'll explore this concept in a later post. In Part 3 we discussed the beginning but also understood that we can't directly understand or observe it. A good theory of quantum gravity might help, but we don't have one yet. So how near the beginning can we claim to have any real understanding? The answer is back to 10-43 of a second. If you want to see that as an ordinary fraction you would need to write 1 at the top with 1 followed by 43 zeroes at the bottom. So we understand the universe (in some sense) back to a very, very tiny part of a second. What exactly do we know from that very early time? Gravity and inflation - For one thing, gravity and the other fundamental forces may have all been of equal strength at first, with gravity separating out at 10-43 seconds. There is theoretical support for this. After gravity separated to become the very mild force it is today, the universe entered a time of extremely rapid expansion known as inflation. This is not just something scientists have dreamed up; the observed properties of the universe can only be explained by such a rapid inflation during which it became unimaginably larger in a tiny, tiny fraction of a second. Before inflation the universe was smaller than a sub atomic particle. Inflation ended between 10-33 and 10-32 seconds, but by this time the universe was spacious (perhaps as large as a football) and packed with elementary particles that still exist in our own time - quarks, antiquarks and gluons. How do we know all this? There are three important things that constrain what is possible. Theory - Based on what we know of the later universe, theory rules out most hypotheses about the earliest eras. Only an early universe similar to what is described above could have resulted in what we see today. Cosmology - Observations suggest a great deal. 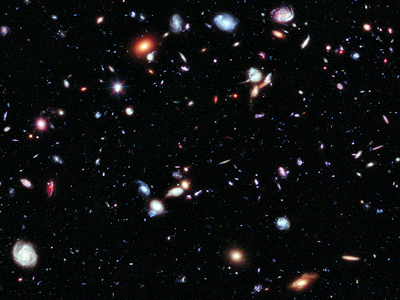 The cosmic background radiation (shown above) and the distribution of galaxy clusters, for example, can only be explained by inflation. High energy physics experiments - By creating high energies in particle accelerators we can observe the properties and behaviour of particles in a similar state to these early phases of the universe. Here's one more thing about inflation. If, as many think, our universe began as a quantum fluctuation, then without inflation it would have been the most transient of fluctuations and the universe would have been snuffed out almost immediately while it was still very tiny. The electroweak epoch - The next stage in the evolution of the universe involved the strong nuclear force separating from the remaining two fundamental forces. Like the earlier events, this too happened at a very early time, around 10-34 seconds. More particles were able to condense out of the soup of energy at this stage, W bosons, Z bosons and Higgs Bosons became common. These are particles that can be generated in our most powerful accelerators today, so we are able to study them and understand them reasonably well. The universe continued to expand and cool so that by 10-12 seconds bosons could no longer be created. 10-12 seconds is also called a picosecond (one quadrillionth of a second). Lasers with pulses as short as a picosecond are used for cutting and shaping materials, in medicine, and for removing tatoos. It's still a very brief time, but meaningful enough for real life use. Light travels just 0.3 mm in this time. The quark, hadron and lepton epochs - The universe continued to expand and cool. After it was a picosecond old the electromagnetic and weak forces separated and the universe at this time was full of a dense quark-gluon plasma. By the end of this epoch at around a microsecond old (one millionth of a second), the universe was cool enough that the quarks could combine to form protons, neutrons and their anti-particles. At an age of about one second the universe was cool enough for particles and anti-particles to annihilate, leaving a small excess of protons and neutrons. As the universe expanded and cooled further and aged to about ten seconds, electrons and other leptons were also able to annihilate with their anti-particles leaving a small excess of mostly protons, neutrons, electrons, and photons. Over the next few minutes conditions cooled to a point where atomic nuclei could form, mostly deuterium and helium with a little lithium. At this point the universe contained these nuclei, protons, electrons, and photons. After a further 380 000 years of cooling and expansion the protons and other nuclei combined with the electrons to form hydrogen and helium atoms (and some lithium atoms). This allowed the photons to move freely (the cosmic microwave background radiation), space became transparent and the earliest structures formed. These structures were simply volumes of slightly varying density and temperature. They are the first things we can 'see' directly and are shown in the illustration at the top of the article. From this point on the universe becomes more and more recognisable to us, albeit still far hotter and denser than today. We will be able to see the rest of the story much more in terms of astronomy. Are you surprised at the amount of change that took place in the first second? 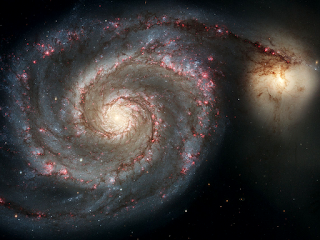 Is the creation of the universe more complex than you had imagined? How do you feel about a universe that started this way? Global warming is real and is coming to a country near you. In fact it's coming everywhere and the effects will be very serious. Here's a report on some of the main points as discussed in a recent series of New Zealand radio shows. What can you do about it? Try to make more people aware of the facts. A series of ten minute slots in a New Zealand radio show provide a useful climate update. Listen to Glenn Williams discussing the climate with Gareth Renowden. They review some of the worst weather events in 2012 including Hurricane Sandy, and look to the coming year for hints of what to expect next. The stunning lack of official action to reduce our impact on climate also gets a mention. We're now in a place where we must expect a severely changed planet, perhaps four or even six degrees celsius warmer than it is right now. Carbon dioxide levels are continuing to rise and are likely to top 400 ppm in 2013. The consequences involve considerable sea level rises, ocean acidification, serious ocean ecosystem damage and further loss of Arctic sea ice. My own conclusion is that we are doing nowhere near enough to limit our carbon dioxide output at a time when the pace of change is proving to be far faster than we expected just a few years ago. There's much more detail about all these matters at the Skeptical Science website. Oh, and if you don't live in New Zealand don't think you don't need to listen. You do. You really, really do. We all need to listen. Is there anything you can do to help make more people aware of the facts? What do you think will happen if we do nothing to reduce greenhouse gas emissions? On present showing, do you think humans are looking after the Earth well? We need to understand the basis upon which science operates and justifies its findings. Without this basis we would be unable to understand and describe the universe in any meaningful way. 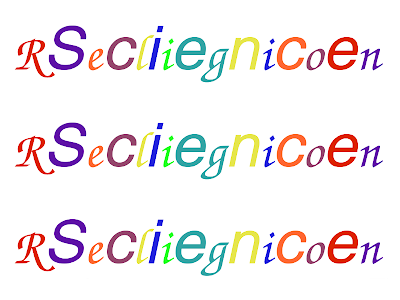 We see that science has a rigorous method and underpins reliable technology. Before we look at the story of the universe, there's some groundwork we need to put in place. In the previous part I explained why I wanted to embark on this project and why I thought I'm suited to it. But this time I want to address science itself. How do we know science works? Why should we accept its claims, for the universe or for anything else? There are two lines of argument that should encourage us to accept the ability of science to produce valid conclusions. One is theoretical and is based on how science works. The other is practical and looks for evidence that science has worked. How does science work? - At its most basic, science is pretty straightforward. It's really just good observation, making a best guess as to what might account for the observation, devising an experiment to test the guess, and then either rejecting the guess because it failed or making a new guess and trying again. When a guess (science calls it an hypothesis) has been tested for a prolonged period of time and has passed every single test thrown at it, we become convinced it really is correct and then science calls it a theory. And we're not talking about ten tests, or a hundred. It may take fifty years or more of serious effort before a theory is widely accepted. The words 'observation', 'hypothesis', 'experiment' and 'theory' are scientific jargon and should not be taken to have their everyday meanings. In the area of science they have precise definitions that we must keep in mind if we want to understand scientific debate and writing. 'Theory' in particular is commonly misunderstood. 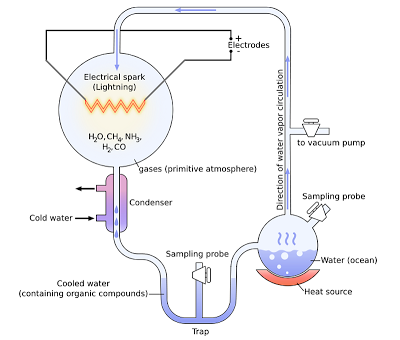 The image above is a diagram of the apparatus used in the famous Milley-Urey experiment. 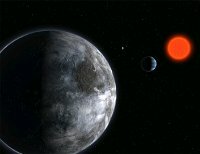 This experiment disproved the hypothesis that organic chemicals could not form naturally in early planetary atmospheres. 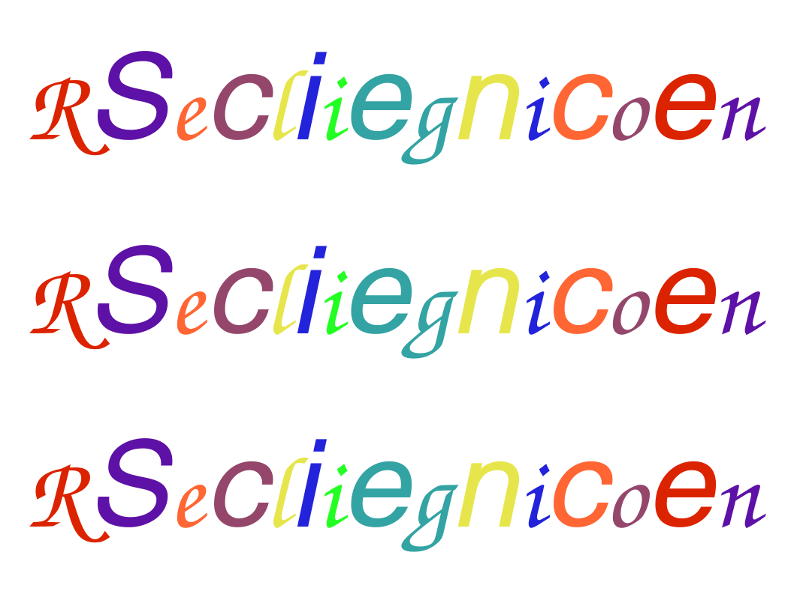 So what does science look like in practice? - An example will help. Let's say we notice that grass doesn't grow well underneath mature trees. That's an observation. We might guess that grass doesn't like to be covered in dead leaves. That's an hypothesis. We decide to grow grass in pots and then cover some of the pots with dead leaves gathered from the woods. That's an experiment. We let the experiment run for some time and then come to look at the results. All the grass is still growing happily. So it looks as if the hypothesis was wrong, there must be some other reason that grass doesn't grow under trees. The hypothesis can't become a theory because we've shown it was wrong. Suppose instead that we had guessed that grass needs plenty of light to grow. This time we'd find we couldn't disprove the guess. We might do dozens of different experiments and find grass always dies if it doesn't get plenty of light. 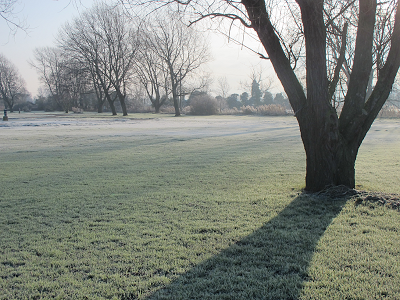 We could now make a theory - 'grass needs plenty of light to grow'. We can now say that grass almost certainly needs plenty of light to grow, and dead leaves definitely don't prevent it from growing. That's an advance in scientific knowledge. Because of the way science works there is little room for argument. A single negative result kills an hypothesis stone dead. Hypotheses become reliable theories when they have passed many unsuccessful challenges. For example general relativity, evolution, quantum mechanics and electro-magnetism are regarded as theories. They have very, very high likelihoods of being correct and long histories of passing experimental tests. Technology stands on the shoulders of science - Technology also gives us great confidence in the results of science. Technology often depends on the results of scientific understanding in order to make something useful or to make it more efficiently. If the underlying science was wrong, the technology based on it would fail. The fact that technology works as well as it does is strong, additional evidence that the scientific method produces reliable and correct results. We are surrounded by proof that science is trustworthy. 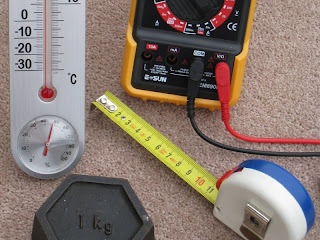 Cars, ships, computers, TV sets, radio communications, plastics, medicines, heart pacemakers, electricity, fridges, washing machines, microwaves, air conditioning, central heating, felt pens, emulsion paint, rubber, plant and animal breeding - all these technologies and many, many more depend on the reliability of science. There are also examples of technology that failed because it was not based on sound science. The best example is plant breeding in the Soviet Union during the cold war. It was based on Lysenkoism, a falsified theory of inheritance. If we can be sure science is reliable and produces correct results, then we can also be confident about what it tells us about the universe. If science is purely well-tested observation, on what grounds can we question it? The nature of the universe makes technology possible, what can we conclude from that? Can you imagine a world in which there were no underlying rules? This is the index page for a major series on the story of the universe. I'll be adding sections from time to time and provide links to all the parts below. I would like to attempt a major project in which I'll do my best to describe and explain the universe as we understand it in 2012 and 2013. The first part of the series is an introduction and explains why and how I am doing this. The list below will expand as fresh parts are written. It's a story with no beginning as we cannot currently investigate the state of the universe right at the start (assuming 'the start' has any rational meaning for the universe). And it's a story with no end because it seems unlikely that the universe will have an ending in the sense of ceasing to exist. Besides, time itself might be seen as part of the universe. In that case we would be talking about the beginning and end of time. What would that mean? One of the truly astonishing things about the universe is that it contains tiny blobs of matter (us) that are capable, in some sense, of comprehending it. This should seem far more extraordinary than it does to most people most of the time. Here's the list of parts so far. Introducing the universe - Why am I attempting this project? How does science work? 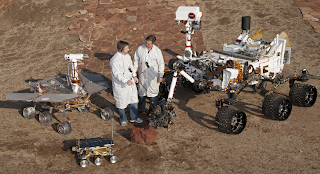 - So, why should we accept the claims of science? In the beginning - Even time and space began at the beginning. 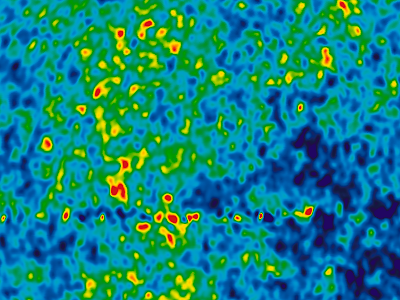 Penzias, Wilson and some noise - How the cosmic background was found. Do 'beginning' and 'end' in science and in religion refer to the same thing? 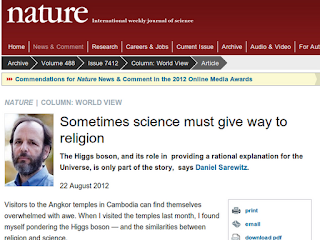 Scientific and religious - do they overlap or conflict or are they distinct? What lies beyond the universe? How could we know? Is heaven a place to which we go after this life is over? If so, who gets to go, just humans? We take a look at our closest relatives and ponder where to draw the line between human and not human. If drawing a line is impractical, might there be something wrong with our understanding of the nature of heaven? Here's an interesting idea, something I haven't seen discussed before. If it has been, I missed it. Many believers in Jesus would say that heaven is a specific place to which we go after this life is over (assuming we have faith in Christ as Lord and Saviour). And many of those same people would also say that only people go to heaven - in other words there will be no cats, dogs, snakes, pigeons or earwigs in heaven. There are many reasons for thinking heaven may not be exactly what we imagine it to be. But let's leave that aside for the moment and accept that it's a place for retired saints, and animals are not allowed. The big question is this... Where do we draw the line between humans and non humans? I hope we can all agree that the major races of people are indeed all human. Negroid, Asiatic, Caucasian, North American Indian and all the rest. Broad divisions and minor differences, we are all one species, Homo sapiens. If we can't agree that - we are in trouble! Various species - Modern humans are the only species remaining today, but other types of hominin (human-like primates) existed in the past. Modern humans - Fossil evidence suggests that modern humans (Homo sapiens) have been around now for perhaps 200 000 years, and most definitely for at least 50 000 years by which time our ancestors were showing evidence of modern human behaviour. But other fascinating fossil and sub-fossil discoveries have been made, some of them rather recently. Red Deer Cave People - These may or may not be a different species from us. They lived until 11 500 years ago in China. Research is continuing but attempts to recover DNA have so far failed and other evidence is not yet conclusive. They are known to have used fire and cooked deer meat. Flores man - This species (Homo floresiensis) was very small and is only known from the Indonesian island of Flores. The most recent specimens date to only 12 000 years ago. They were also toolmakers like us, stone tools have been found with their remains. Denisovans were recently discovered (2008). They are known from a few minor bone remains in a Siberian cave. DNA analysis shows clearly that they are related to Neanderthals and interbred to some extent with the people who populated the Pacific islands. They survived until about 41 000 years ago and had a common ancestor with both modern humans and neanderthals around a million years ago. Neanderthals - Quite similar to us, Neanderthals have been known from skeletal remains for many years. They are sometimes regarded as a separate species from us (Homo neanderthalensis) or sometimes as a subspecies (Homo sapiens neanderthalensis). Neanderthals lived in Europe and Asia from 600 000 until 30 000 years ago or perhaps even as recently as 25 000 years ago. 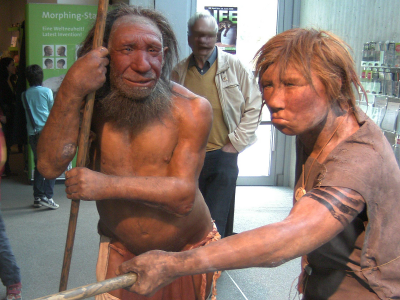 Neanderthals seem to have had behaviour strikingly similar to our own. They probably had language, they made tools, wore clothes, hunted large animals (even the giant mammoths), they wore jewellery, cared for invalids, used fire, painted cave walls and observed rituals for the dead. Genetic evidence shows that there was limited interbreeding between our ancestors and Neanderthals. Homo erectus - This hominin may have been the ancestor of Homo sapiens (us), Homo neanderthalensis and the other groups listed above. They lived from 1.8 million until at least 300 000 years ago and may have remained even longer, perhaps overlapping with us and certainly with Neanderthals. Homo erectus lived in Africa, Europe and Asia, made stone tools, and ate meat as part of a mixed diet. Homo ergaster - Another possible ancestor, perhaps of Homo erectus as well as the other groups, Homo ergaster lived in Africa from 1.8 million years ago. These ancestors, too, had an advanced stone tool culture. Overlapping species - It seems that several different hominins were living on the Earth at the same time although we are now the only remaining kind. If we assume that sapiens, floresiensis, denisovans, and neanderthalensis are different species (as many scientistists do), then we have at least four species co-existing. We might even add the Red Deer Cave people which would make five. In many cases there was overlap in geographical range as well, and there was a modest amount of interbreeding between modern humans and both Denisovans and Neanderthals. The question then arises whether all four (or five) will be present in heaven. Of course, it's possible to argue that all these groups are subspecies of Homo sapiens. In that case we might call them all 'human' and the 'heaven problem' might seem less of an issue. But many scientists studying these groups would say that they are different species of human. The ancestor species, Homo erectus and Homo ergaster, are also usually regarded as human and it's just possible that a population of erectus remained recently enough to have overlapped with us. Will erectus be present in heaven? How about ergaster? The question, as I mentioned, is where to draw the line. So in case you haven't drawn that line yet, let's continue along our family tree and see what comes before Homo ergaster. Earlier hominid ancestors - The ancestor of Homo ergaster, Homo habilis, was another tool user living from 2.33 to 1.4 million years ago. With long arms and a brain only half the size of modern humans, we can be certain habilis was a distinct species. This early hominin died out long before our own species developed. An earlier genus of hominin, Australopithecus gave rise to the early Homo line. They are represented by several species living between 4 and 2 million years ago. They walked upright, their brains were around a third of the size of ours. They used simple tools (as do chimpanzees and gorillas). Chimpanzee and australopithecine lines separated around 5.4 to 6.3 million years ago (possibly earlier). Sahelanthropus may perhaps represent a late common ancestor. It has a brain size about a quarter of ours, more or less the same as a modern chimp. The sub-family Homininae includes humans, chimpanzees and gorillas. The family Hominidae includes the Homininae as well as orangutans which split off from them some 12 million years ago. Simians include all the Old World monkeys and apes (the Hominidae and gibbons) as well as the New World monkeys. The order Primates includes the Simians and the Prosimians (lemurs, lorises, bushbabies, and tarsiers). The order developed about 85 million years ago from ancestors that were early tree-dwelling mammals. The Euarchontoglires superorder includes primates as well as rodents, lagomorphs, treeshrews, and colugos. Yes, rats are our distant cousins. The Eutheria (placental mammals) include Euarchontoglires and all other mammals apart from non-placental types such as the monotremes and the marsupials. The group has it's origins at least 160 million years ago. Where do we draw that line? - So now that tricky question again. Where do we draw the line? Which (if any) of these creatures will we find in heaven? It's not so easy, is it? Most believers might say modern humans are in and chimpanzees are out. But what about Neanderthals, what about Australopithecus? Creationists will see the entire argument as foolish. Their view is that all extant species were created as they now are and Homo sapiens is distinct and special. 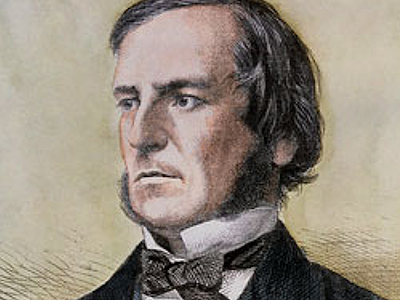 But 150 years ago some would have excluded Negroid peoples as somehow 'sub-human'. They were useful as slaves but would have no place in heaven. Mercifully such views have been swept away, but we should not forget that opinions of that kind were taken perfectly seriously not so long ago. Non-believers will accept the biology but have no place for the idea of heaven. For them, too, there is no problem. But setting aside non-believers and Creationists, what do those in the middle think (non-Creationist believers)? Could it be that there is nothing wrong with the biological understanding of species and evolution, but there is instead something wrong with our idea of what heaven is? We'll take a look at that next time. People used to talk about 'missing links' in the fossil record. The record for human development is much more complete now. Do you think missing links are still an issue? If humans evolved from earlier ancestors, where would you draw the line between human and pre-human? If life evolved, does that render faith impossible? If so, how? How do you understand the creation passages in Genesis? Is a literal view plausible? Is a literal view necessary? Science and faith sometimes appear to be at war. But is that inevitable? A conference in Switzerland is examining these issues and draws together influential scientists, theologians and philosophers. A conference is underway as I write, a conference with a difference. The whole affair is very refreshing and encouraging and exciting. It brings together influential scientists, theologians and philosophers to discuss the nature of science and faith, and focusses on the Big Bang theory and the discovery of the Higgs boson. The conference is being held in Switzerland and is called 'The Big Bang and the interfaces of knowledge: towards a common language?' The aim is to explore questions around the interface between science and faith and whether a common framework of knowledge might be possible. You can download the programme as a PDF file (165 kB) or read brief details online from the website of the organisers, Wilton Park in collaboration with CERN in Geneva. There's also a very useful BBC News article about the conference 'Big Bang and religion mixed in Cern debate'. The purpose of this conference is to enable scientists from a range of disciplines to dialogue with philosophers and theologians from the world religions about the nature of the Big Bang Theory. What understandings might scientists and theologians share in common? How are their paradigms shaped and developed? Is it possible to develop a common framework or language? Why is this conference so exciting? Simply because it's an unusual opportunity to discuss and (perhaps) reconcile views that are often perceived to be irreconcilable. And it's exciting because the conference involves experts who would rarely meet together. When a record of the meeting becomes available it will make very interesting reading and should spark further debate in the wider community. We might borrow the words of Pontius Pilate and simply describe the topic of this meeting as 'What is truth?' Pilate was caught in a dilemma between religion and politics. The dilemma this meeting is discussing is quite different - it's examining two different kinds of truth. How do you see the debate? Is it possible for science and faith to agree about anything at all? Are the two views truly irreconcilable or do they actually threaten one another? Is there an unbridgeable gulf between the two? Relationship between religion and science - Wikipedia, undated - Encyclopaedic article on the topic with further references. 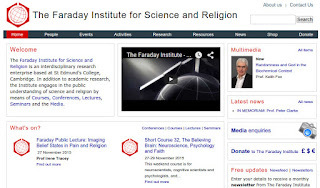 Science and faith archive - Patheos, undated - A collection of links and book titles on the topic, updated from time to time. Science and faith - again - Journeys of heart and mind, 22nd August 2012 - How do science and faith stack up against one another as ways of knowing the truth? Science provides truth about the physical universe while faith provides truth about spiritual things. Is there any overlap? Science and faith - Journeys of heart and mind, 7th January 2012 - Can I have faith and accept science too? Is that an unreasonable position to hold? Recent discussions on Jesus Creed have provoked me to write on this topic again. 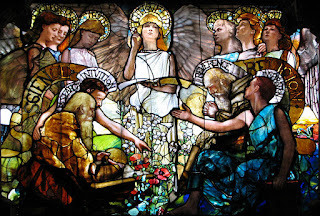 Science and faith - war or peace? - Journeys of heart and mind, 25th April 2010 - The origin of the universe, the origin of life, evolution - these are some of the topics that seem to be endlessly debated across the science/faith divide. Why does this happen, what are the root causes of the sometimes strongly-worded arguments? Perhaps it's time to take a fresh look. Science and faith: The conflict - The Telegraph, 16th March 2009 - A new film opening at the Cambridge Science Festival this evening attempts to demonstrate that the divide between religion and science is not as great as it has been portrayed. Can we discuss and debate any topic with grace and love and without fighting with one another? If not, does it matter? Here are some thoughts about that in connection with evolution. 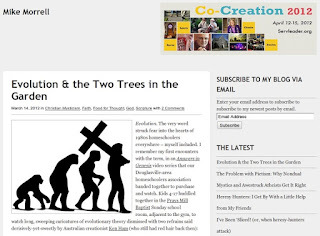 Mike Morrell's post 'Evolution & the Two Trees in the Garden' is thought provoking. 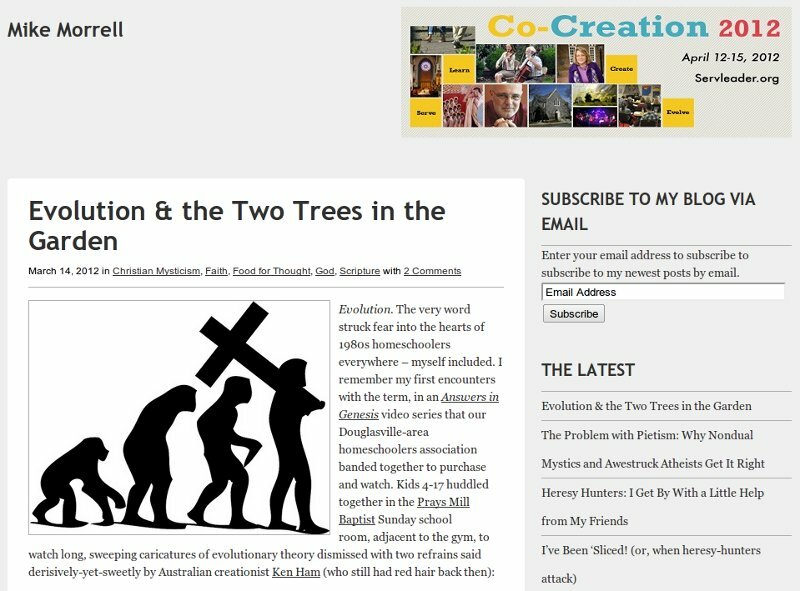 It's a long post and it covers a range of topics, but I want to draw particular attention to his thoughts on evolution. There is no doubt (in my mind) that it is important for those of us who follow Yahshua to be honest in our opinions and to allow one another to have different views. For myself I can say that as a scientist and a biologist I cannot dismiss evolution. It happened and continues to happen today, of that I am absolutely sure. Evolution explains the range of plants and animals and other forms of life in the world today and also in the past. Yet, along with that certainty, it is essential that I allow others to hold other views. We should not fall out over evolution, neither should we fall out over doctrine, or any of the other thousands of things that may come between us. Why not? The simple fact that these things 'may come between us' is reason enough. Jesus calls us to be one. It is important to have right knowledge and understanding, but it is far more important that our differences do not divide us. We can talk about them but we should not fight over them. We are not called to think alike, we are called to love one another. You are entitled to hold that evolution is an error, you are free to say so, you are free to say why you think so. I promise not to bite your head off. I promise to accept you even though I may not accept your opinion. Mike Morrell may have stirred up heated discussion by writing as he did. I may have stirred up more by writing this piece. Discussion is fine but there is danger in the heat. So I have a special plea to make. If you comment on this article or on Mike's please do so in gentleness and in love. Thank you. We all know what happens when two objects collide, don't we? It depends on the speed of collision and the nature of the objects. Two balls of dough will stick together, billiard balls will bounce apart, slowly moving cars will stop one another, fast moving cars will crumple. At some of the largest scales imaginable colliding galaxies pass through one another in a shape-distorting ballet that takes tens of millions of years. Where there were once two spiral galaxies, eventually there will be a single elliptical galaxy. 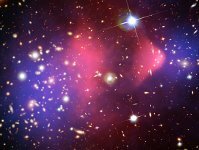 To understand this process it becomes necessary to take into account the presence of dark matter in and around the two galaxies as well as the collisions of gas and the gravitational interactions of countless stars. But what happens at an even larger scale? What happens when clusters of galaxies collide? To understand this process more clearly, scientists at three prestigious labs in the USA have run a very large, very complex computer simulation. It took a long time to create and run the model, but you can watch the results in a movie that takes less than three and a half minutes. What are you watching? First you will see the dark matter interactions, then the mixing of the intergalactic gas, and finally the combination. I should mention that what you see is a series of stop-start movies. In each one some interaction is shown, then the movement stops while the stationary scene is rotated to give you a better view and help you visualise the shapes, then the action moves on again. For more information about the simulation and what you are seeing, visit Ian O'Neill's article on Discovery News.